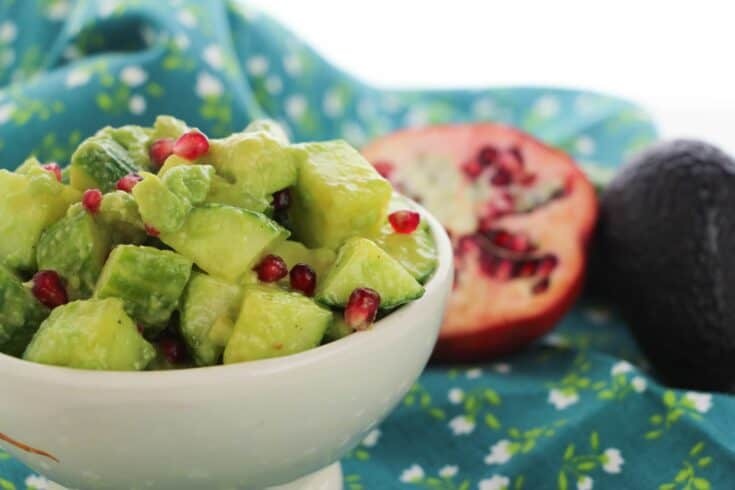 Summer is the perfect time to make this crip and refreshing avocado and cucumber salad. 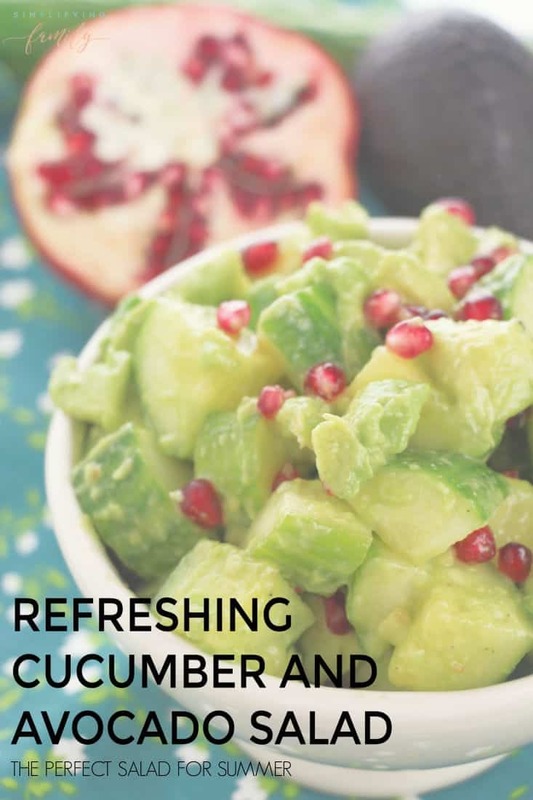 Get in your healthy fats while enjoying the crispness of the cucumber. 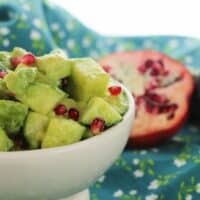 If you don’t care for avocados, try this delicious Mediterranean Black Bean Salad or the ever famous Cobb Salad with homemade dressing. This salad is so super simple easy to make, it’s a great one for your kids to help make to get them cooking in the kitchen. 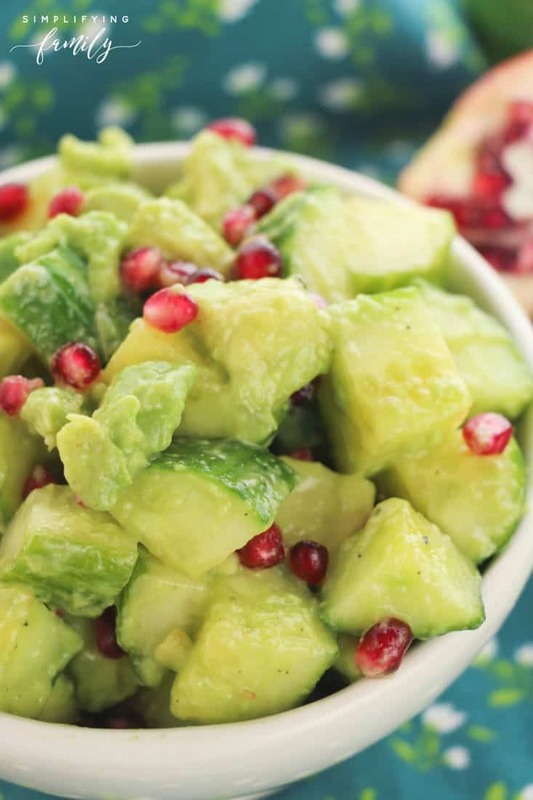 Combine all ingredients in a large bowl and toss well to coat and mash up the avocados a bit. Note: I used two avocados in this recipe but if you want them more for creaminess, just use one. If not serving all at once, skip the salt and instead salt each individual serving to prevent the cucumbers from releasing their water. Store in an airtight container in the fridge.